Janet Horne was the last person in Britain to be tried and executed for witchcraft. 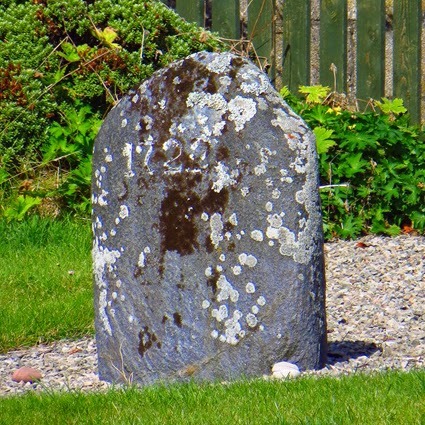 In 1727 she and her daughter were arrested and jailed in Dornoch. She was accused of turning her daughter into a pony, and of getting Satan himself to shoe the horse/girl. According to the local museum, at the time of her execution Janet Horne was showing signs of what we would recognise today as senile dementia. Her daughter appears to have had a deformity in her hands and feet. The trial was rushed. The sheriff-depute of Sutherland found both women guilty and ordered that they should be burned to death the following day. The younger woman escaped but Janet was stripped, covered in tar and paraded through Dornoch in a barrel. When she arrived at her execution place, she is said to have smiled and warmed herself at the very fire which was about to consume her. Nine years after Janet's death the Witchcraft Acts were repealed in Scotland and England and it became unlawful to execute anyone for alleged witchcraft. Thanks very much John for letting me post the photo on my blog. The photo is copyright John Dodds.